There are always Cinderella storylines in this single-elimination tournament, which always makes for exciting betting lines. Plus, fans are always clamoring to see who’ll become the next LeBron or Curry. You never know who’s going to make it through to the Final Four in Minneapolis. When you arrange charter flights to March Madness with Stratos, it doesn’t matter. We can coordinate last-minute charter flights to get you courtside quickly and comfortably. Through our trusted network of air charter operators across the United States (and beyond), we can source the most appropriate aircraft at competitive private jet charter rates, no matter where you’re flying to, or where you're departing from. We also offer discounted empty leg flights, which can save you money. Most commercial flights come to the Alamo City arrive through Minneapolis-Saint Paul International Airport (MSP). 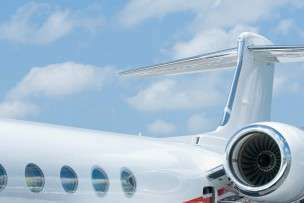 However, private jet travellers have several other airport options at their disposal. The St. Paul Downtown Airport, (STP), Crystal Airport (MIC), and Anoka Country-Blaine Airport (ANE) are great options and located within driving distance to the city. Do you want to catch the marquee matchups during the NCAA March Madness tournament? Stratos Jets charters private jet flights that will transport you there in all-star style. Call 888.593.9066 (toll-free) or request a quote online.